Akerson: "You can't have totally unbridled growth in a country evolving as quickly as China." SHANGHAI (Reuters) - General Motors sees growth of between 7 percent to 10 percent in China's car market this year, its chief executive said on Sunday. "In 2009 it grew 50 percent, 2010 it grew roughly 30 percent, that's not all good either. You can't have totally unbridled growth in a country evolving as quickly as China," Daniel Akerson told reporters in Shanghai. "Our guess is it will probably be closer to 7 to 10 percent growth in the market and I think that's very healthy," Akerson said. GM said it had sold 240,244 vehicles in China during the month of September, up 15.3 percent from a year earlier. 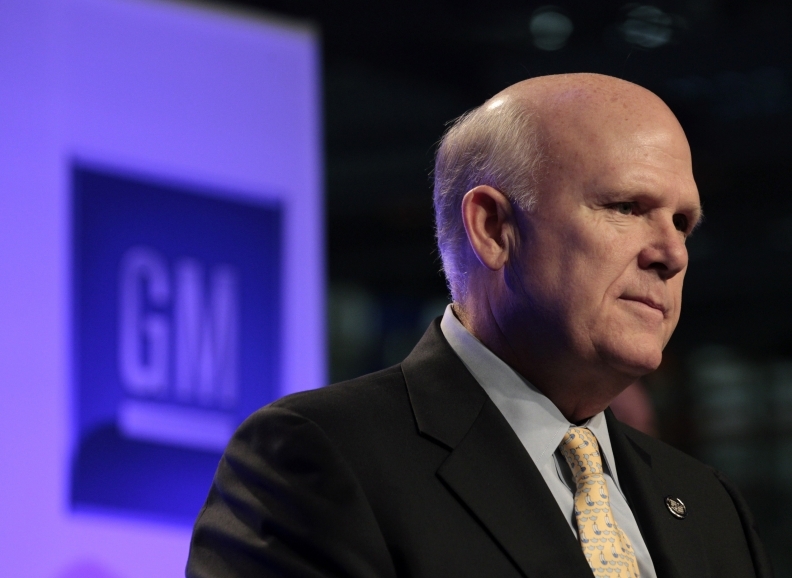 GM makes vehicles in China in partnership with SAIC Motor Corp. and FAW Group. China's overall vehicle market sizzled in 2010 with 18 million units sold. But it has now reverted to a more subdued growth pattern after the government ended tax incentives for small car sales and subsidies for van buyers in rural areas. Sales of passenger vehicles have held up better than the commercial market. J.D. Power forecasts passenger vehicle sales will rise 8.2 percent this year, while sales of light commercial vehicles are expected to decline 8.1 percent.